3 Responses to Why didn’t we listen? 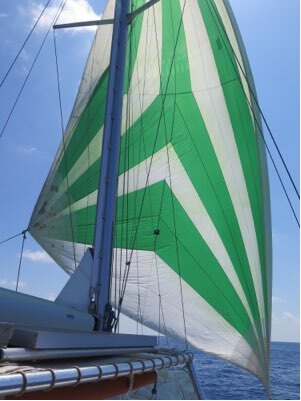 I always love a good spinnaker. May the winds pick up and take you across the wide Pacific with smooth sailing all the way. Beautiful picture, enjoy the view! Take the term “target arrival date” out of your vocabulary. Even if you are not moving you will remember this as some of the best times sailing.